The Ultimate Homeschool Resource – (SchoolhouseTeachers.com Review) PLUS discount! As a busy homeschooling mom with kids of varying ages, I am always looking for resources that can make my days easier and benefit them all. 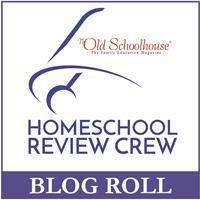 Over the past few weeks, we’ve been enjoying reviewing the Ultimate Annual Yearly Membership from SchoolhouseTeachers.com. Let me just say there is SO MUCH INCLUDED in this membership! I won’t be able to touch on all the wonderful, useful features, so I will focus instead on our personal favorites. SchoolhouseTeachers.com is an online educational resource for Christian homeschooling families, BY Christian homeschooling families. You will find self-paced, online courses and printable materials for preschool through high school, e-books, planning resources, an extensive video library, focused learning centers, and a whole area devoted to homeschool parent support – just to scratch the surface! They currently offer over 425 courses (both core subjects and electives) and are adding more every month! They offer both a monthly and a yearly subscription option. I literally spent hours clicking around the members site, perusing courses and weighing my options, before I chose our first classes to incorporate into our homeschool days. I was thrilled to see they offered a Filmmaking course among their online electives, as my ten year old is currently working on making his first film! I’d love to share a bit about this online elective with you. This course is written for 7th-12th grades and is video based. While my son isn’t quite the recommended age, he really wanted to take this class. We found that while some of the material may be a little advanced for him, the way it is presented makes it easy for him to understand and apply. He has worked through the first 5 lessons over the past two weeks and has already started his screenplay/script for his movie and making story boards. The online course includes 29 video based lessons covering topics such as story structure, screenplay format, casting, choosing a camera, composition, lighting, audio, gear recommendations, post-production, and exploration of career options in the filmmaking world. All of this material is taught from a Christian worldview and presented by Director/Producer George Escobar. Another resource from the Ultimate Annual Yearly Membership that we have utilized and enjoyed is the included access to the World Book Libraries. This isn’t JUST an online encyclopedia, but offers a large assortment of videos, grade-leveled readers, non-fiction e-books, and interactive games and activities to supplement any study! The included video library is extensive with streaming content from Creation.com, Drive Thru History, Vision Video, Discovery House, Boat Angel, City on a Hill, RightNow Media, and more! We have really been enjoying watching videos from the “Heroes of the Bible” series to help bring our Bible reading to life. While there are lots of resources out there providing educational content for homeschool families, a huge bonus of SchoolhouseTeachers.com is the extensive library of resources catering to the homeschool parent. This is my number one favorite area of the members library to explore and use. There are e-books and printable homeschool planners, access to recordings and videos from previous Schoolhouse Expo confrences, recordkeeping software, a schedule builder, lesson plans and much, much more included. The entire site is easy to navigate and you can view resources sorted by age/grade-level, subject, or using the search function. Under the “tutorials” tab you will find video walkthroughs to help you utilize your subscription to its full potential! There is also messaging option at the bottom right of every page, so if you are looking for something specific and can’t locate it you can ask for help! I just can’t say enough about how amazing and feature-rich the SchoolhouseTeachers.com site is, you really just have to see for yourself! TOS has given a special discount code so that you can get the Ultimate Annual Yearly Membership at 50% off!! Just enter the code “CREWFOLLOWER” at checkout. I would encourage you to click below to read more reviews and learn more about SchoolhouseTeachers.com from the Homeschool Review Crew!